Are you ready for the jail break? Nightospehre is a creepy place and you need to reach the exit as soon as possible. Make sure you do that! 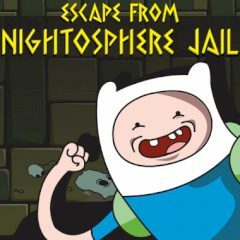 Nightosphere keeps all its prisoners secured and if you want to escape it, you must spend lots of effort and do everything right. Press the arrow keys and move higher, until you make a major mistake or escape the place!